Itâs Cooler in Pooler! Gorgeous home located in The Gates at Savannah Quarters! 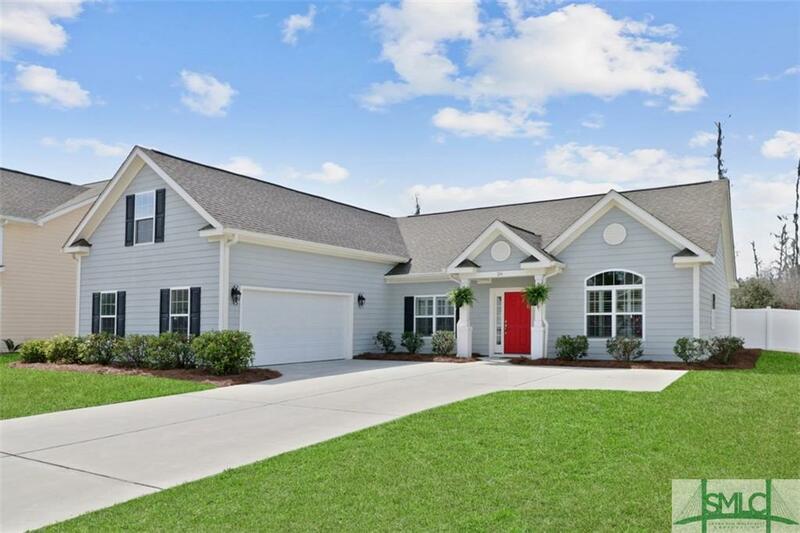 This home comes complete with luxury vinyl plank floors and tile throughout. Custom built in cabinets in the great room and laundry room. Spacious open concept with a separate formal dining room, kitchen with breakfast bar and breakfast area, and large great room with tall ceilings. Master bedroom with ensuite bathroom that features double vanities, garden tub, separate shower, and water closet. 2 additional bedrooms, study room with French doors, and bonus room that could be used as 4th bedroom. Enjoy relaxing outside in the extended screened patio which is complete with floodlights and ceiling fans. Upgraded HVAC system only a year old with Nexia Smart thermostats! This quiet, established, gated community offers a community pool, lake, playground, and boat storage. Conveniently located to I-16, I-95, Airport and great shopping!